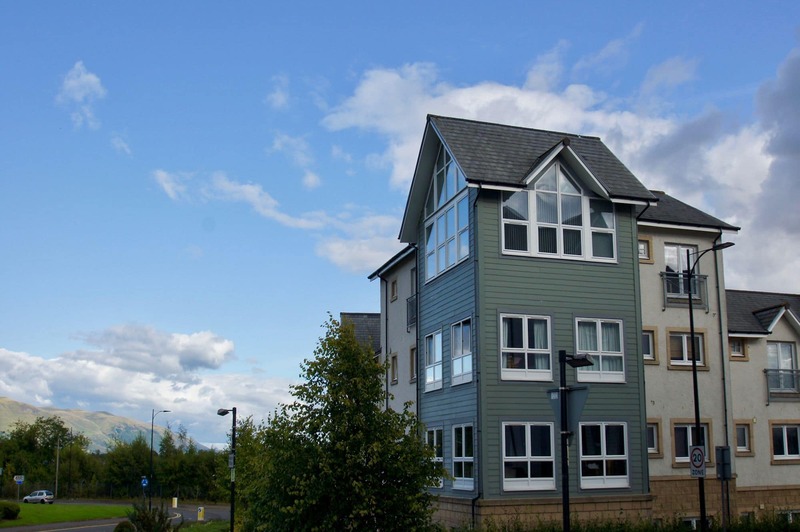 The Penthouse Apartment in the heart of the city of Stirling is a short walk from the centre of town with its many attractions and amenities, including the famous Stirling Castle, the Thistles Shopping Centre, and a range of restaurants, cafes and bars. The mainline railway station, which serves all the major Scottish cities (30 mins to Glasgow, 55 minutes to Edinburgh) is a 5 minute walk away. 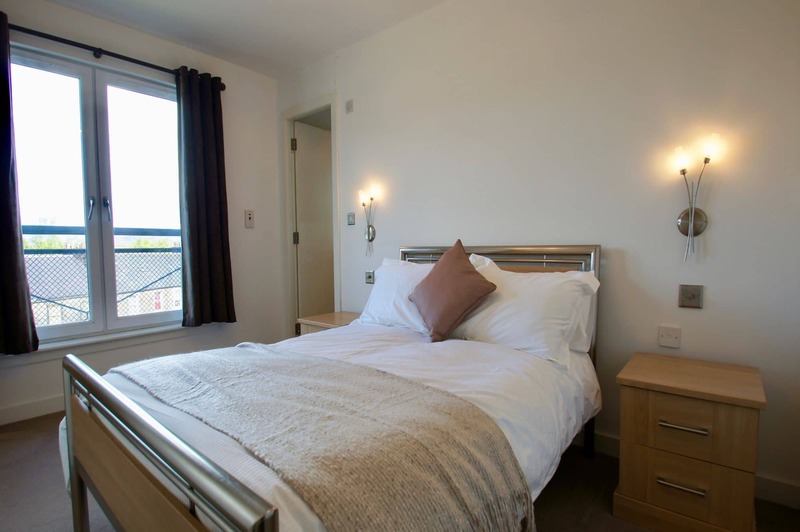 Stirling hosts a number of events throughout the year and the apartment is in a prime position to enjoy the New Year fireworks display above Stirling Castle. The open plan lounge, kitchen and separate dining area are suffused by light from the high cathedral windows which offer wonderful panoramic views of Stirling Castle, the Wallace Monument and the mountains beyond. The lounge-dining area has a television and DVD player, sofa seating, a feature fire and a selection of books and games. 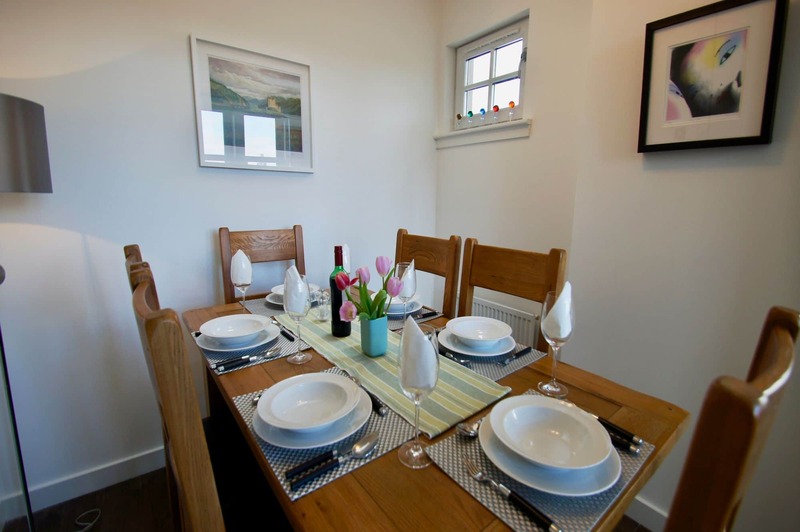 The dining area has a table with seating for six. 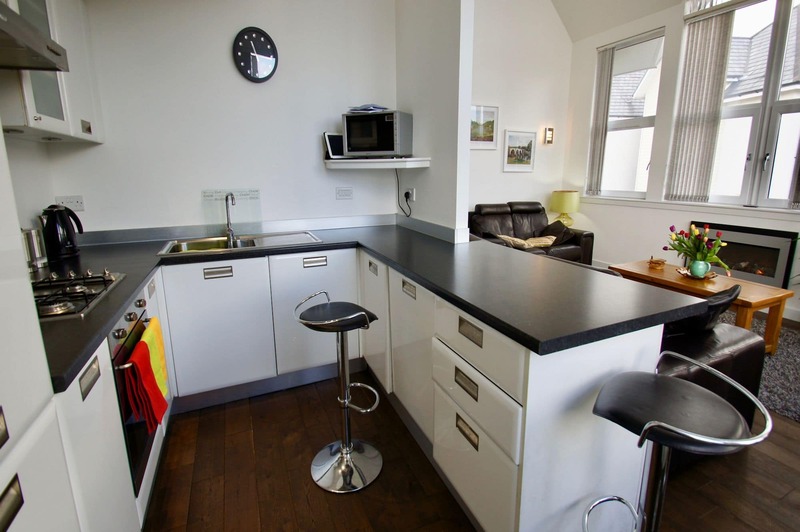 There is a fully-fitted kitchen with a gas oven and hob, microwave, fridge-freezer, dishwasher, washer dryer, crockery and utensils. There is also a breakfast bar and stools. This high spec apartment sleeps 4, with a double en-suite bedroom and a twin room with en-suite Jack-and-Jill facilities. A separate dressing room adjoining the twin bedroom also houses an iron, ironing board, clothes dryer, travel cot and high chair. 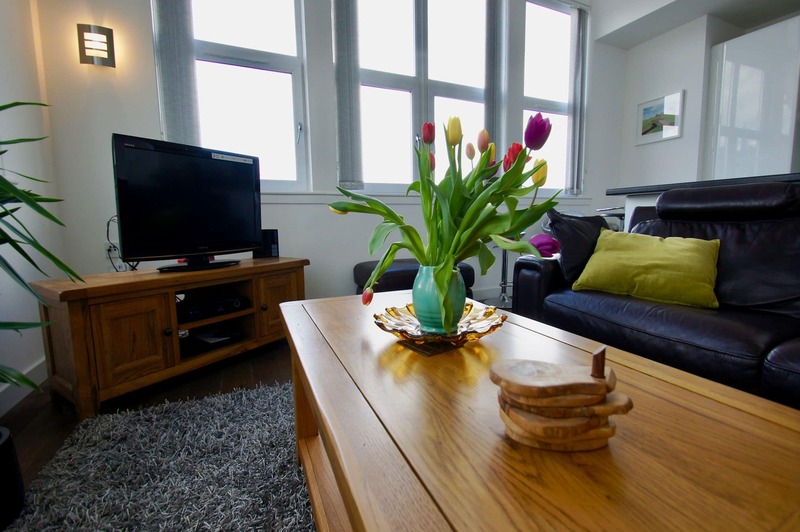 The Penthouse Apartment is in the town centre and therefore conveniently located for experiencing everything Stirling and the surrounding area has to offer. The Kelpies – These twin modern art sculptures are a stunning addition to the landscape surrounding Falkirk and can be combined with a visit to the Water Wheel, the world’s only rotating boat lift.